Manufactured in styrene, this stylish and popular range of promotional memo holders have been given a sharp new look. 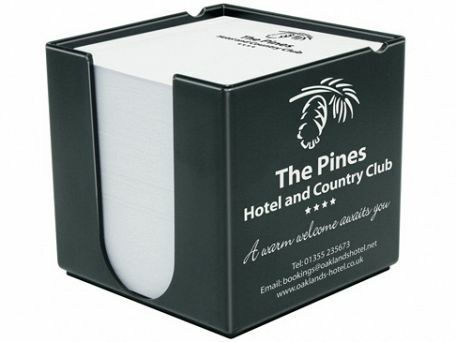 Incorporating a penholder and containing approximately 1000 sheets of white paper, these holders are now available in a variety of solid colour options. These memo holders are ideal promotional gifts for any occasion and for any kind of industry.